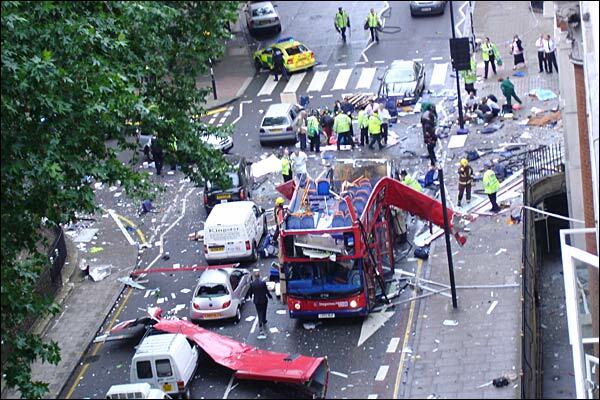 The reaction to the London bombings in Britain was calm, with the foreign press seemingly more alarmist than our own. We're used to terrorism in Britain, although it has abated in recent years the IRA conducted a decades long terrorist campaign on mainland Britain which included the Brighton hotel bombing in 1984 which almost succeeded killing the then Prime Minister Margaret Thatcher. 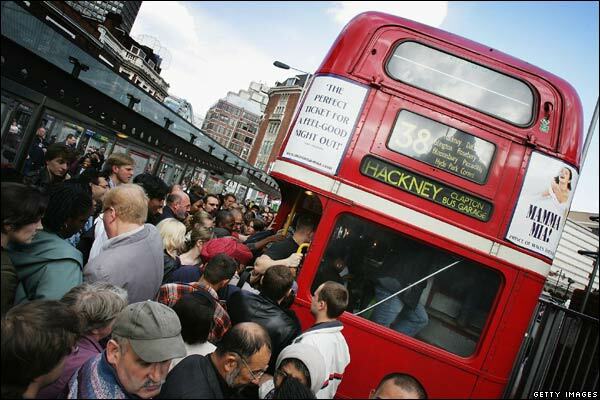 So despite the nature of the attacks, there was little panic reported and bus services at least soon restarted allowing some people to make their way home yesterday, and with the Underground being returned to partial operation today, London is begining to return to normal. I'd flown into London only the day before the bombings, and it's sobering to think that I could have been caught up in it. I know that many of my friends and colleagues have been caught in the aftermath, and the heightened security in the capital, although thankfully I don't know of anyone that was directly involved. 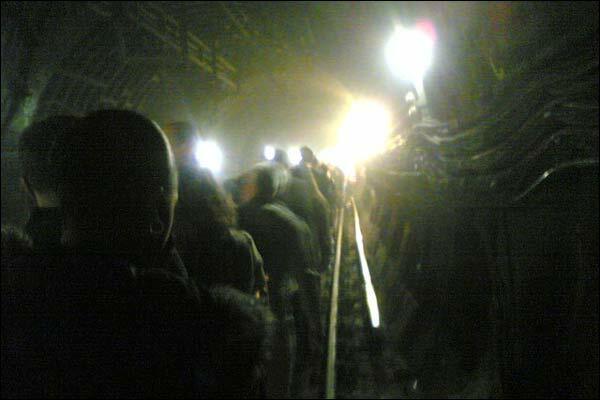 That said, I've not yet managed to get in contact with everyone that might have been in London at the time. I remember the September 11th attacks in 2001 very well, where most of our news was gleaned from Slashdot as many of the major mainstream news sites went down under the increased load, and work stopped as people crowded around a small portable television. The changes in the way the way news propagates since 2001 is marked, camera phones captured the aftermath of the blasts and blogs covered the blasts real time. A lot of people got their news directly from people on the ground with Wikinews having better coverage during the day than most of the main stream news sites. The mobile phone networks were, unsuprisingly, heavily loaded all day. With the mobile operators reportedly increasing the available bandwidth to deal with the load, although reports that the government used it's emergency powers to shut the networks down seem now to be unfounded. The attack failed. All attempts to destroy democracy by terrorism will fail. I agreed with her then and I agree with her now, however attempts by a country's own government have had a good record succeeding. In these difficult times we must remember that giving up our freedoms in exchange for security is a bargain we should not make. I'm willing to give my life in return for keeping my freedom of movement, of association and of anonymity in public, and so should you. If you are not, if you want security more than you want democracy, then I'm ashamed of you.